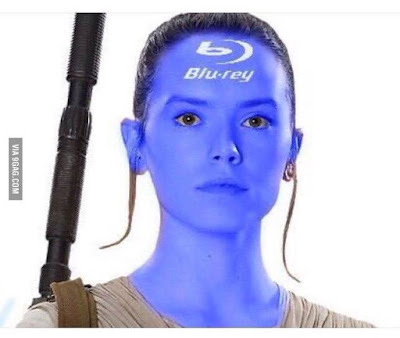 We've known for a while that Star Wars: The Force Awakens Blu-ray/DVD release would include several deleted scenes from the film and now we know (roughly) how many. The Force Awakens editors Mary Jo Markey and Maryann Brandon chatted with The Independent recently, and they revealed that there will be seven deleted scenes. When pressed a little further, the Oscar-nominee said: “There aren’t a lot. There’s one with Harrison Ford, there’s one with Rey, but there aren’t a lot. “JJ [Abrams, director] really wanted it to be a two-hour movie, and we did strive to do that. But then, at a certain point, we felt like the film is really working for the very few people that we were able to show it to. The blu-ray of The Force Awakens is rumored to hit shelves on April 5th! Chewie ripping off Unkar Uplutt's arm and throwing it across the room in Maz's castle as depicted in the novelization, that 5 seconds alone is worth the money. Maz kanata at the résistance base. Oh wait kant that the scène weer she give anakin/lukes lightsaber to leia? There's a rumoured scene where Maz uses the force against the stormtroopers attacking the castle.